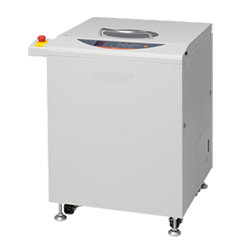 Manufacturing application mixer that can vacuum process a maximum 1L of materials with twin mixer system. 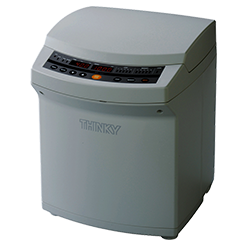 This product employs a twin mixer system, and supports manufacturing application with the capacity to process a maximum 1L of materials. 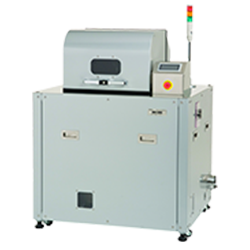 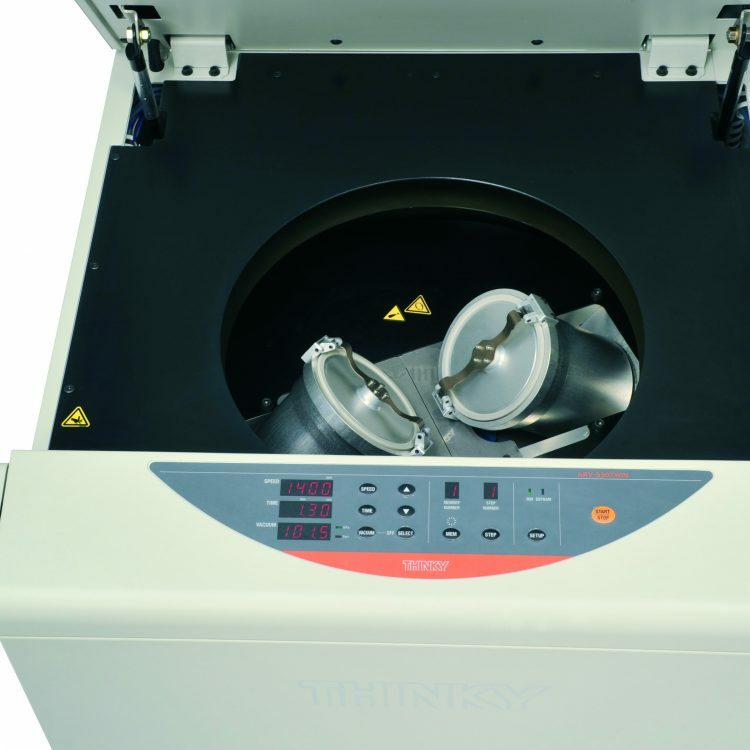 It is equipped with a vacuum function in order to achieve deaeration at the submicron level, thus it is possible to process uniform mixing and dispersion as well as deaeration at the same time. 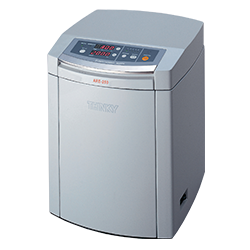 It has two deaeration modes as standard features: one is vacuum deaeration mode which combines 400G centrifugal force and vacuum, and the other is Non Vacuum deaeration mode which utilizes powerful centrifugal force of maximum 670G. 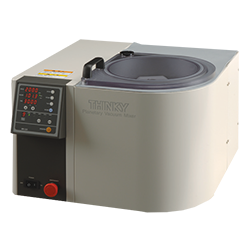 This enables high precision deaeration even with materials that contain a volatile component that is not suitable for vacuum deaeration. 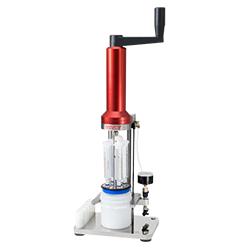 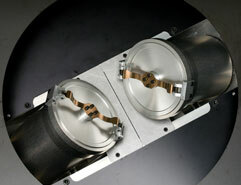 Furthermore, time to reach vacuum is significantly reduced by adopting our unique in-cup-holder vacuum pressure reduction system that minimizes the vacuum volume. 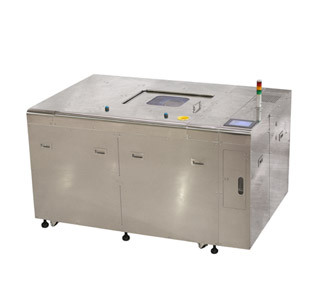 Applicable for production volume. 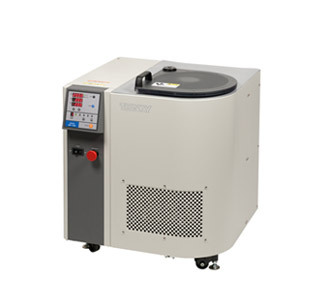 Max 500 ml (x2) in 750ml container can be processed under vaccum condition. 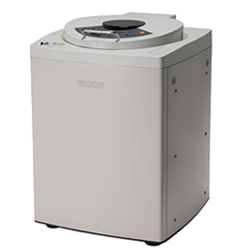 Defoaming mode is available on vacuum mixer. 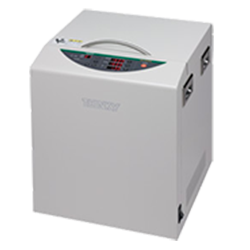 ARV-930TWIN carries both vacuum and non-vacuum defoaming mode.